Laryngitis is the medical term for inflammation and swelling of the larynx, which is also known as the voice box. Most of the causes of laryngitis, such as common viruses infections or using your voice too much, are not serious. A few causes, however, require medical attention and can be cause for concern such as laryngeal cancer. Laryngitis is usually caused by a virus or occurs in people who overuse their voice. Occasionally, a person may develop laryngitis from bacterial infections, and rarely, from infections such as tuberculosis, syphilis, or a fungal infection. People with prolonged laryngitis should see their doctor to be checked for tumors, some of which may be cancerous. Smokers and those who consume alcohol are especially at risk for cancer.If the laryngitis is from a viral or bacterial infection, it is possible that the specific virus or bacteria can be contagious. However, if the laryngitis is from laryngeal cancer or overuse of the voice, it is not contagious. 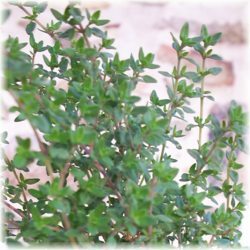 The leaves are commonly used in India and Southeast Asia to treat coughs. It is known to be an effective expectorant. The simplest method is to chew a leaf. You can also make a tea by boiling the leaves in water (in the Caribbean, they add honey to the tea). Or you can pound the leaves and mix with a little water. Make a juice from Coleus ambinicus (Indian Borage) leaves, add sugar candy to taste. Then drink it. If you drink regularly, will be reduced dry throat..
Gastritis is inflammation of the lining of your stomach, which you may experience as a gnawing or burning pain in your stomach or upper abdomen. The term gastric refers to your stomach. This inflammation of the lining of your stomach, which is fairly common, has many causes. The lining of your stomach can become inflamed if you regularly take aspirin or certain other pain relievers that irritate the stomach. Drinking alcohol to excess can damage the lining of your stomach. Another common cause of gastritis is an infection with the same bug that can cause stomach ulcers. Sometimes what's known as stress gastritis develops after traumatic injury or major surgery to the body. A gnawing or burning ache or pain (indigestion) in your upper abdomen, which some people describe as having a sour or burning stomach. Eating may worsen or improve the discomfort. A feeling of fullness in your upper abdomen after eating. In most cases, the signs and symptoms of gastritis are relatively mild and short-lived. Occasionally, Inflammation of the stomach may cause stomach bleeding, but it's rarely severe unless there's also ulceration of your stomach lining. Signs of stomach bleeding include the vomiting of blood, which may resemble coffee grounds in its composition, and blood in your stools, which are often black or tarry. The signs and symptoms of gastritis may depend on how long the problem has existed. If it occurs suddenly is called acute gastritis. In its acute phase, Inflammation of the stomach causes the classic nausea and pain or discomfort in the upper abdomen. If it develops gradually is called chronic gastritis, and its signs and symptoms may vary from those of acute. You may experience a dull pain in your upper abdomen and a feeling of fullness and loss of appetite after a few bites of food. Or for many people, chronic gastritis actually causes no signs or symptoms. Also called stomach flu, gastroenteritis is usually due to a viral infection of the intestines. Signs and symptoms of gastroenteritis often include diarrhea, abdominal cramps, and nausea or vomiting, as well as indigestion. And symptoms typically resolve within a day or two, whereas the discomfort of Inflammation of the stomach may be recurring. Heartburn is pain or a burning sensation behind the breastbone, often occurring after a meal. Heartburn is caused by the back flow of stomach acid into your esophagus, the tube that connects your throat to your stomach. With heartburn, you may also experience a sour taste and the sensation of food re-entering your mouth. If a gnawing or burning pain in your stomach is persistent and severe, you may have an ulcer. Stomach (peptic) ulcers are open sores that develop on the inside lining of the stomach. The most prominent symptom of a stomach ulcer is pain. But ulcer pain is typically worse at night or when your stomach is empty. Stomach ulcers and gastritis share some of the same causes. Dyspepsia is the medical term for indigestion. Nonulcer dyspepsia is a common disorder of the digestive tract that produces symptoms such as pain or discomfort in the upper abdomen similar to that caused by an ulcer, but tests show that you don't have an ulcer. Inflammation of the stomach and nonulcer dyspepsia have similar symptoms but different causes. Nonulcer dyspepsia, which is common, often results simply from stress or your diet, eating foods that are upsetting to your stomach, such as overdoing spicy, fatty or fried foods. Your stomach, a hollow, muscular sac, sits in the upper-left corner of your abdomen, just under your rib cage. The typical adult stomach is about 10 inches long and can expand to hold about 1 gallon of food and liquid. When your stomach is empty, its tissues fold in on themselves, a bit like a closed accordion. As your stomach fills and expands, the folds gradually disappear. The two main jobs of your stomach are to help process food and to store food, gradually releasing it into your small intestine. When food arrives from your esophagus, a muscular ring at the joining of your esophagus and stomach (lower esophageal sphincter) relaxes to let it in. Yourstomach walls, which are lined with layers of powerful muscles, then begin churning the food, mixing it into smaller and smaller pieces. At the same time, glands in the wall of your stomach pump out gastric juices — including enzymes and stomach acid. These juices help break down foodfurther. Hydrochloric acid is one of many gastric juices your stomach produces. This helpful but corrosive acid could dissolve your stomach itself if it weren't for the protective sticky mucus lining your stomach walls. Gastritis may be caused by a common bacterium called Helicobacter pylori (H. pylori) — the same bug that's to blame for most stomach ulcers. H. pylori lives and multiplies within the mucous layer that covers and protects the lining ofyour stomach. Often, H. pylori causes no problems. But sometimes, under certain conditions, it can damage the mucous layer and result in inflammation of your stomach lining — gastritis. If bacteria actually erode the tissue of your stomach lining, an ulcer develops. H. pylorimay be the most common gastrointestinal infection in the world. Eighty percent of people in developing countries are infected. In the United States, 20 percent of young adults and half the adults older than age 60 are infected. Although it's not clear exactly how H. pylori spreads,it appears to be transmitted from person to person by close contact. Most people become infected with H. pylori in childhood, and that infection remains throughout life unless antibiotics cure it. Regular use of pain relievers. Certain medications — namely nonsteroidal anti-inflammatory drugs (NSAIDs) — can inflame the lining of your stomach. NSAIDs come in prescription and over-the-counter forms. Examples of nonprescription NSAIDs include aspirin, ibuprofen (Advil,Motrin, others), naproxen (Aleve) and ketoprofen (Orudis). These commonly used pain relievers reduce a protective substance in your stomach called prostaglandin. Taken infrequently and short-term, NSAIDs usually don't cause many stomach problems, especially if taken with antacids, food ormilk. However, regular use or overuse may lead to gastritis, as well as stomach ulcers. Alcohol can irritate and erode the mucous lining of your stomach. Abusing alcohol can give rise to gastritis. Cocaine can be damaging to the stomach, leading to stomach bleeding and gastritis. Severe stress due to major surgery, traumatic injury, burns or severe infections may produce gastritis, along with ulcers and stomach bleeding. Atrophic gastritis, can be caused by an underlying autoimmune disorder in which your immune system attacks healthy cells in your stomach lining. This causes the lining of your stomach to gradually thin (atrophy). In turn, yourstomach produces less gastric acid. In addition, cells in your stomach that produce a substance called intrinsic factor, which helps you absorb vitamin B-12, may be affected by your immune system. An inability to absorb vitamin B-12 leads to a condition known as pernicious anemia. Severeatrophic gastritis and pernicious anemia often coincide and most commonly occur in older adults. Atrophic gastritis is a chronic form of gastritis and rarely causes any gastrointestinal symptoms. This bowel disease causes chronic inflammation of the lining of the digestive tract, infrequently including the stomach (gastritis). Signs and symptoms of Crohn's disease, an often painful and debilitating condition, include abdominal pain and waterydiarrhea. Cancer treatments such as chemotherapy and radiation may lead to inflammation of the lining of the stomach, leading to stomach ulcers and gastritis. Bile, a fluid that helps you digest fats, is produced in your liver and stored in your gallbladder. Your gallbladder is a small organ on the right side of your abdomen, just beneath your liver. Bile travels toyour small intestine to aid in digestion through thin tubes collectively referred to as your bile duct. Normally, a ring-like sphincter muscle (pyloric valve) prevents the back flow of bile from your small intestine into your stomach. However, if this valve doesn't work properly, bile can back up into your stomach causing inflammation (gastritis). Other, less common forms result from more generalized diseases such as liver or kidney failure. Prevention depends on the specific cause of the inflammation. If you experience frequent indigestion, eat smaller, more frequent meals to buffer stomach acid secretion. In addition, avoid irritating foods such as spicy, citrus or highly seasoned items if you have this condition or stomach ulcers. Excessive use of alcohol can irritate and erode the mucous lining of your stomach, causing inflammation and bleeding. Smoking interferes with the protective lining of the stomach, making your stomach perhaps more susceptible. Smoking also increases stomach acid and delays stomach healing. If possible, avoid taking NSAIDs — aspirin, ibuprofen, ketoprofen and naproxen. These over-the-counter medications can cause or worsen your the burring symptoms. Some so called experts say to, switch to pain relievers that contain acetaminophen. Your doctor may recommend that you take an over-the-counter antacid or acid blocker, truly not the best solution. Solanum nigrum (European Black Nightshade or locally just "black nightshade", Duscle, Garden Nightshade, Hound's Berry, Petty Morel, Wonder Berry, Small-fruited black nightshade or popolo) is a species in the Solanum genus, native to Eurasia and introduced in the Americas, Australasia and South Africa. 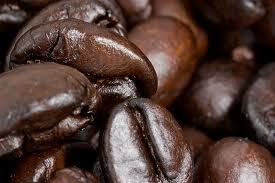 Taken internally in very small amounts, the leaves strongly promote perspiration and purge the bowels the next day. The juice of the fresh herb is sometimes used for fever and to allay pain. In large doses, black nightshade can cause serious, but usually not fatal, poisoning. 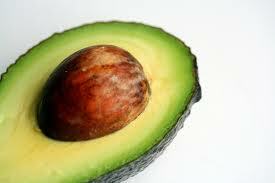 Externally, the juice or an ointment prepared from the leaves can be used for skin problems and tumors. The berries are poisonous, but boiling apparently destroys the toxic substances and makes them usable for preserves, jams, and pies. 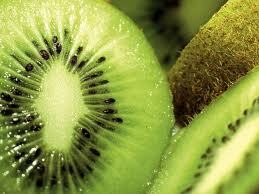 The fruit is used as a cosmetic; rubbing the seeds on the cheeks to remove freckles. Children harmlessly and extensively eat the mature fruit. The fruit has been used for diabetes. Decoction of stalk, leaves, roots are good for wounds and cancerous sores. An infusion of the plant is used as an enema in infants having abdominal upsets. Freshly prepared extract of the plant is effective in the treatment of cirrhosis of the liver and also serves as an antidote to opium poisoning. Solanum nigrum has the capacity to cure the burning sensation in the stomach, so if you take some Solanum nigrum leaves, clean and make its juice, then drink 4 teaspoon of juice twice a day. This aromatic bean contains Magnesium and Vitamin E. It's properties include antioxidant, antibacterial, exfoliating, and stimulating. 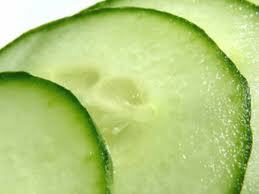 A vegetable used for it's cooling and astringent properties. Try a couple of slices for your tired eyes. Rich in vitamins A, D, E, potassium, sulfur and chlorine, this fruit is used in facial and hair packs and is deep penetrating. This fruit is high in vitamin C and has enzymatic and detergency properties making it helpful for skin and hair preparations. 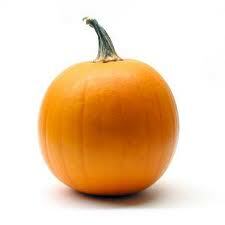 A member of the Gourd family, pumpkins are high in vitamin C for all-around tissue building and healing. A number of different physiological path way may lead to shortness of breath including via chemoreceptors, mechanoreceptors, and lung receptors. 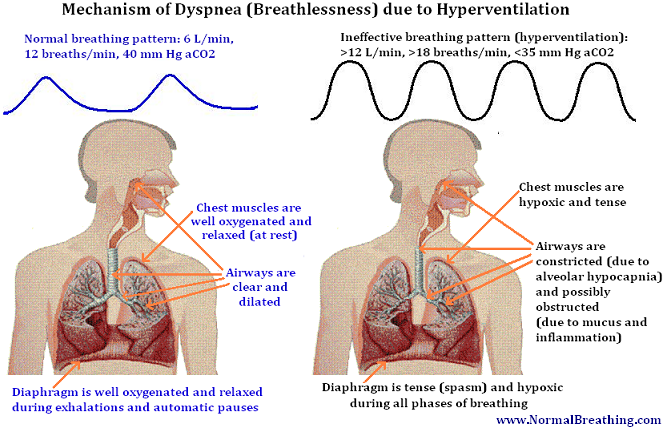 Dyspnea is caused by various factors. Mouth breathing and chest breathing are among the causes of dyspnea since they reduce brain oxygenation and create the sensation of air hunger. However, the main cause of dyspnea and low body oxygenation is obvious from this Table. Chronic hyperventilation (or automatic deep breathing pattern) leads to alveolar hypocapnia (lack of CO2) which is normal in people with heart disease, asthma, COPD, cancer, cystic fibrosis, diabetes, pregnancy and many other conditions. Healthy, normal breathing is imperceptible or unperceivable, since it is very small (500 ml for tidal volume, 10-12 breaths/min, and 6 L/min for minute ventilation at rest for a 70-kg person). In contrast, dyspneic patients have over 12 L/min (double the norm) for their ventilation rates and over 18 breaths/min for respiratory frequency at rest. Hyperventilation leads to greatly increased work of breathing due to large minute ventilation rates. But there are other effects as well. For example, alveolar hyperventilation always leads to cell hypoxia (regardless of ventilation-perfusion ratio). - tense states of the diaphragm and chest muscles due to arterial hypocapnia. - presence of inflammation and mucus in airways causing further narrowing or obstruction of air flow. Exertion, exercise (with mouth breathing), meals (or eating and especially overeating), overheating, stress, anxiety, attempts to breathe deeply, deep breathing exercises, night sleep and being in the horizontal position (especially supine sleep), poor posture, pregnancy and many other factors are all known causes of hyperventilation. Therefore, they also worsen breathlessness. For example, physical exertion, due to anaerobic cell respiration at rest and elevated resting blood lactate, worsens gas exchange and causes overbreathing. This leads to acute exertional dyspnea. 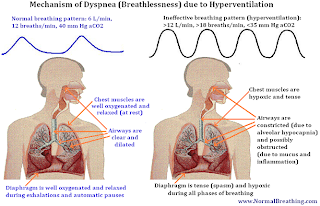 Acute dyspnea leads to even heavier breathing due to a negative feedback in breathing control caused by a prominent oxygen drive (hunger for air), instead of normal CO2-based regulation of respiration. Respiratory receptors located in the brain sense low brain oxygenation creating the sensation of air hunger and trying to increase ventilation.